The Head of School Search Process | Date : Feb 20, 2018 | Author: Robert P. Henderson, Jr.
As a consultant to independent schools, I get calls when things aren’t going well early in a headship. Most often these situations stem from tensions between a board and the head of school. When it’s the board chair that contacts me, it is often because of concerns over the performance or leadership of the head. When a head calls, it is usually to seek help navigating a problem dealing with the board or a board chair. Quite often all challenges trace back to issues that were apparent soon after the search was complete. 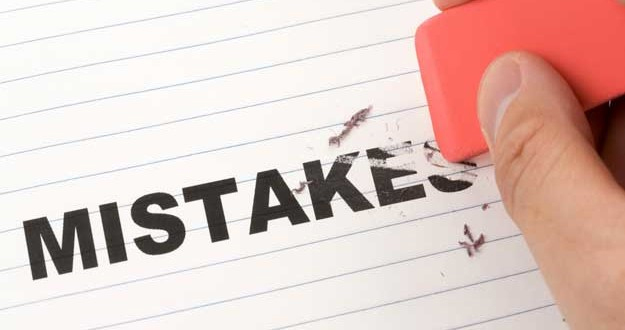 To avoid this outcome it is imperative to be aware of the six potential mistakes boards make in its head search and hiring process. Mistake Number 1. When boards make poor appointments to the search committee. When a search committee is constituted on the basis of ensuring the representation of every constituency in the school, the outcome of the search is sure to reflect an unhealthy compromise between all those interests. It is also sometimes the case that the board feels compelled to include a dissident voice on the search committee. (Therein lies the mistake.) A search committee should only consist of individuals who will uphold the long-term best interest of the entire school, and not prioritize any sense of accountability to a specific sub-group. They need to be people who are inclined to work collaboratively and effectively, and are willing to put aside ego in order to seek a head who fits a clearly articulated objective criteria that address the needs and culture of the community. Mistake Number 2. Some board members assume their experience from hiring in other professional realms is applicable to hiring in independent schools. Boards generally include people who have done hiring in their own professional lives. That experience and perspective can be useful; however, there are different requisite communication and listening needs in independent schools, which generally function more like villages or parishes than corporations or professional partnerships. Boards must ensure that people in the school community are heard at this major inflection point. In order to ensure the legitimization of the new head, the search process must solicit broad community feedback without creating democratic expectations, while also making clear the decision-making roles of both the search committee and the board. Mistake Number 3. Some boards simply won’t let search committees do their work. When a board sets up a search committee, it is handing over one of its most important responsibilities: the identification of the next head of school. Members of the board who are not on the search committee must understand that the search process is strictly confidential. This is to protect the integrity of the process and the interests of applicants. When boards interfere with or fail to endorse the work of the search committee, or when they imagine they can reproduce and supplant the exhaustive efforts of a search committee, they have taken huge steps to ensure the long-term failure of the outcome. Mistake Number 4. When boards overlook the strengths of the previous head while seeking to address her or his weaknesses. At the time a sitting head announces his or her departure, it is usually plain to the school community what they hope to gain in the search process and what new personal and professional qualities they hope to discover in a successor. Less clear, however, or perhaps taken for granted, may be the strengths of the previous head. Or, even if those strengths are well appreciated, take on less priority in the search process than obtaining what was not there in the previous epoch. Boards must strive to hire the best overall candidate for the job as measured by objective standards and not in reaction to what came before. Failure to do that can leave expectations of leadership from the past that the new head may find debilitating. Mistake Number 5. Boards fail to approach the search strategically. The responsibility of boards is to think strategically and not moor themselves in the tactical challenges of the school. When boards get confused about the strategic and the tactical, and consequently impose tactical criteria and expectations on head candidates or on the new head, they guarantee that short-term decisions will take priority over long-term health. It is tough and disciplined work for boards to remain strategic in their outlook, and a serious error in terms of selecting a new head to do otherwise. Mistake Number 6. Some boards err when they settle for a sub-par solution. I am aware of more than one school that seemed to do everything right in the search process. Then, toward the end of a search, for a variety of reasons beyond the control of the school or the search consultants, the finalists weren’t right for the job or they pulled out of the process. When this occurs, the search committee, and ultimately the board, is faced with a hard choice: should they hire the best available candidate or hire an interim head and go through the hassle and expense of searching for another year? In many cases, the former approach has resulted in an unsuccessful headship. It is wiser to own failure before compromising, and extend the process until the desired outcome is realized. There are many challenges when searching for a new head, but quite often the search process is a tremendous opportunity to establish momentum and publicly endorse the identity and mission of the school. Being aware of these six mistakes at the onset of a search can help a school avoid potential pitfalls and increase the odds of finding just the right next leader for their communities.